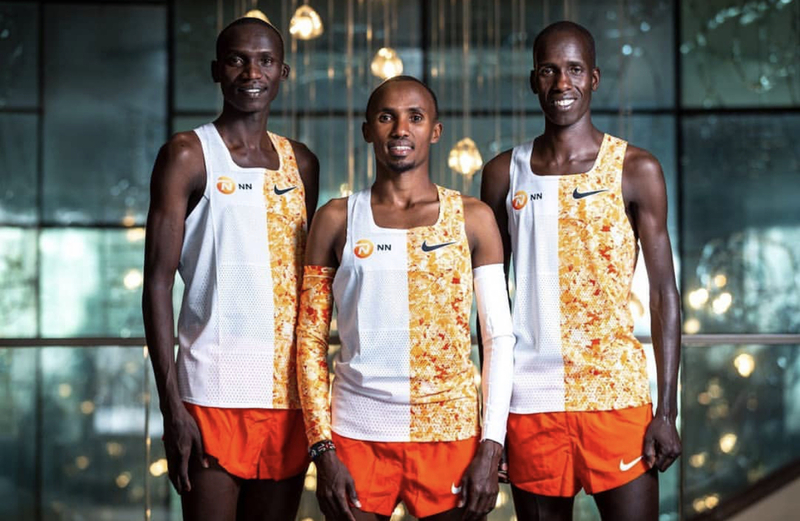 Mo Farrah’s singlet for the London Marathon. Red with the split flower patten on the one side and four stars (representing his Olympic Golds) under the swoosh. Where have you seen this? Somewhere in London perhaps? Same material and cut, just a bigger swoosh on Mo’s. Anyone know what shorts the Nike pros wore today? 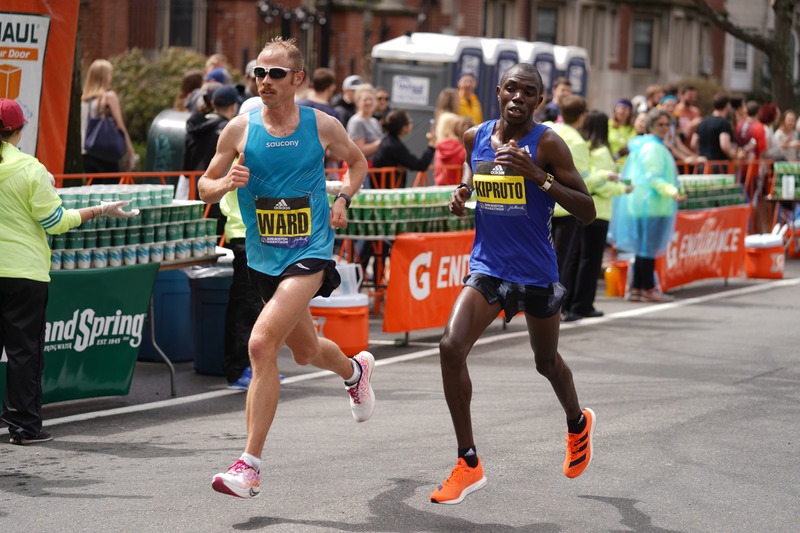 Given that runningwarehouse put up singlets with the same material/cut as the pros I was hoping they or someone had done the same with shorts (and perhaps half tights?). 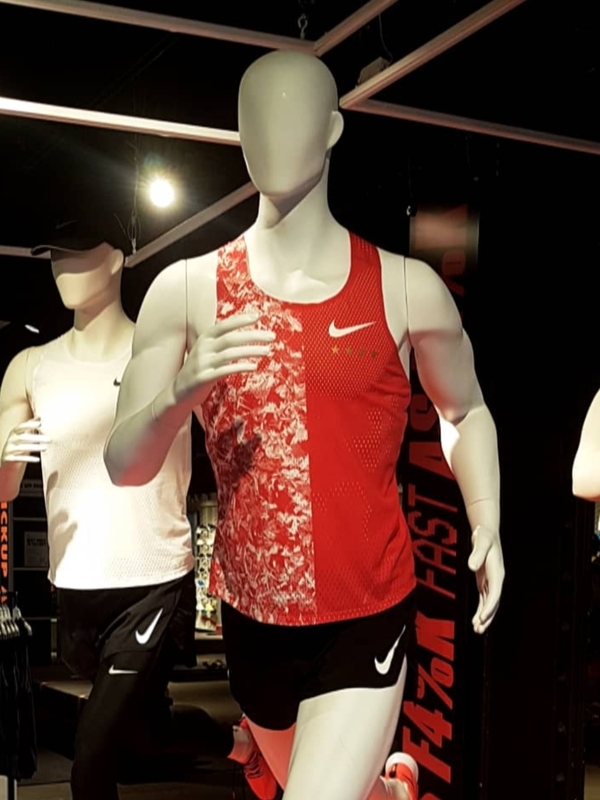 Wondering if it could be these (Nike Men's Core Dry Fast 2" Short or Nike Men's Summer Dry Fast 2" Short) as the perforated material looks similar to the singlet. On another note, looking at those links you sent – I can tell where the design inspiration came from. I’m imagining the design team at Nike flipping through a powerpoint of BOA 1" split shorts, pounding their fists on the table, and furiously scribbling down designs to take down their monopoly on the affordable scholastic summer running shorts market. As much as I love my 10 pairs of 1" shorts, I don’t love their extreme inner-thigh chafing and their ability to hold sweat like a sponge, and the Nike shorts look worth the 10 bucks extra. But man, nothing beats running through town with the squad shirtless, knowing your shorts are 1 inch shorter than what the guys on the other side of the road are wearing. Appreciate the response! 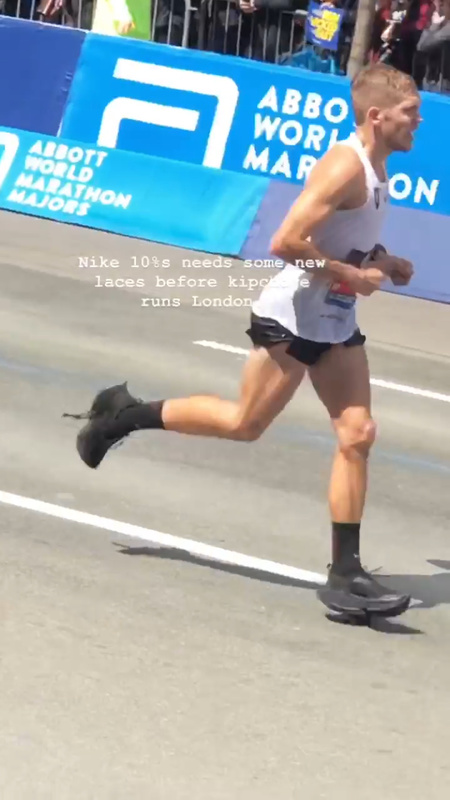 You look to be right, although perhaps Mo’s singlet as shown in the picture above is just a different cut from the regular pro singlets? 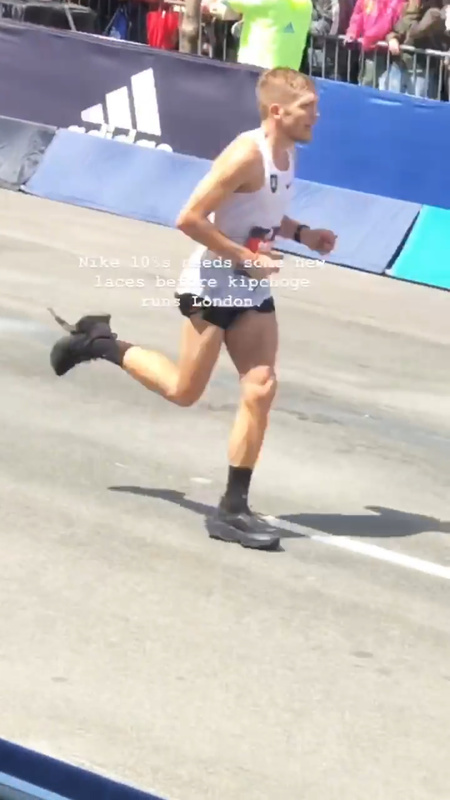 His/the runningwarehouse one both seem to have rounded off necklines as opposed to the square ones seen on the NN guys above and the Nike pros yesterday. In any case, I’d kill for Nike to sell pro-cut/pro-grade shorts to the average joe. If I redshirt any of my future seasons or compete post-collegiate I’d love to use them. Unfortunately the only place to find those shorts seems to be ebay, where they sit for $150-$250. Here is a tasty, tasty morsel for everyone courtesy of @harrymattison on Instagram. HQ photo of the Saucony prototype and a new adidas flat. Looks like an adizero sub2-type silhouette using regular boost instead of boost light. Closest look we’ve got at the Saucony flat so far, and in a Dunkin’ colorway to boot. Now we know it uses Everun, an interesting choice considering how heavy TPU foam is. devils advocate… what if its not normal TPU?